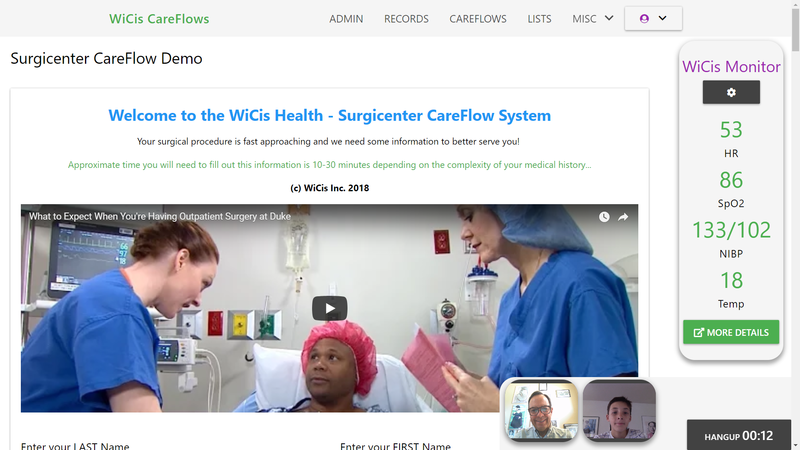 A complete CareFlow process involves many different forms, each with different access rights. When an individual within a group is done with a form, he submits it either to another person and/or group, and they have different edit and view rights than the group before. 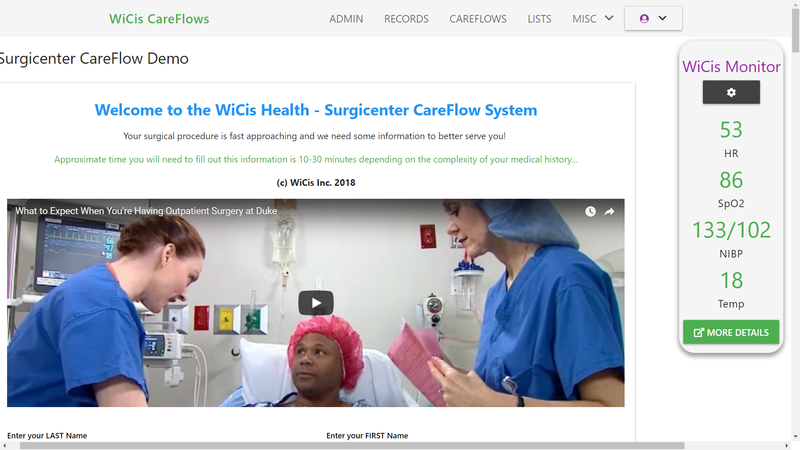 In medicine, the recipient of a form in a CareFlow usually has edit rights only on what he is currently doing, and read-only rights for all that has occurred before. The patient shares vital signs in real-time with his doctor or caregiver, no differently than if he was at the hospital and one were watching his monitor. Typical variables that one can follow are Heart Rate, Pulse Rate, SpO2, EKG, NIBP, Temperatures. 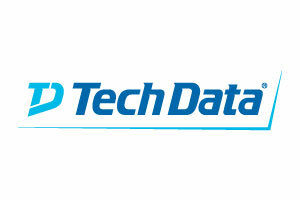 But one can also add geo-location information, pictures, or even text updates from the patient to his physician. Follow up with a patient at ANY REMOTE LOCATION for several days with live vital signs and live video conferencing. 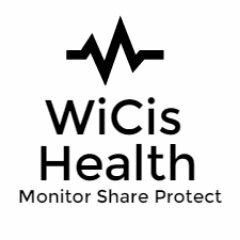 WiCis is unique at being able to share vitals signs from anywhere using satellite technology. If the Wi-Fi or 3g connectivity of the patient is poor, our system knows how to slow down the frame rate so that you maintain voice communications perfectly, while still being able to see each other. 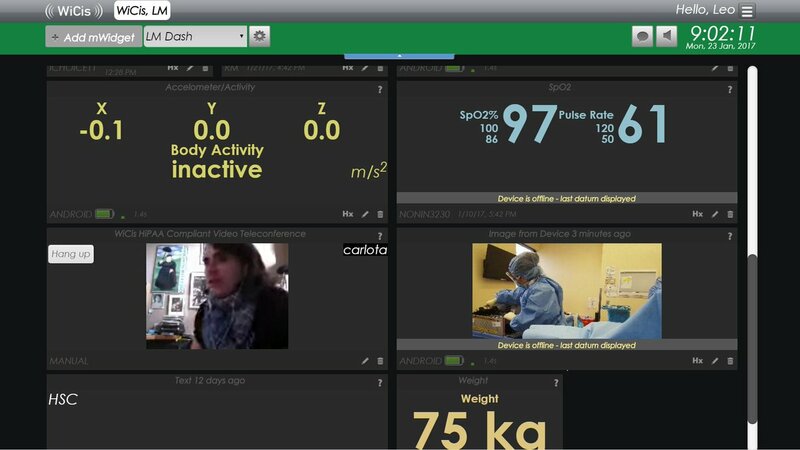 Now chronic patients can lead a normal life using our REAL-TIME Bio-Metrics solution. 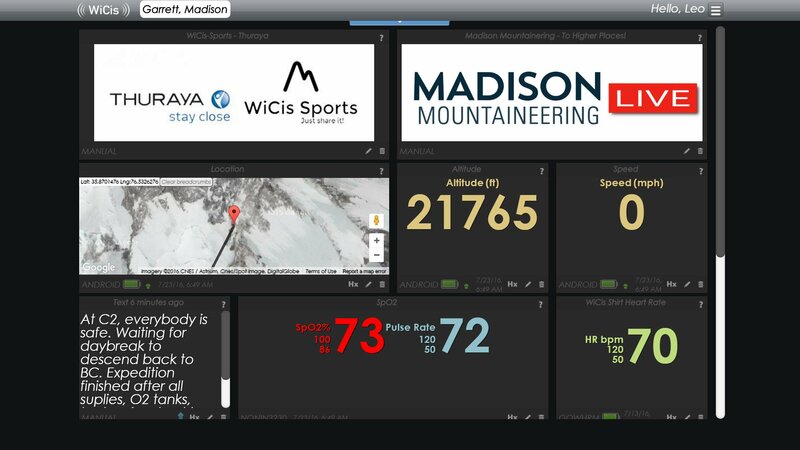 Call centers can see on the same form both clinical data as well as live GPS and Bio-Metrics data from anywhere on the globe! Track worker Bio-Metrics and GPS location from employees at high risk, even from remote locations. Use our forms to track daily the evolution of patients who need psychiatric follow-up. Use wearables periodically to measure weight, activity, sleep, and other types of progress! Track the fifth vital sign, pain, with our tracking forms designed for this purpose. Track biometrics for the other four, live! 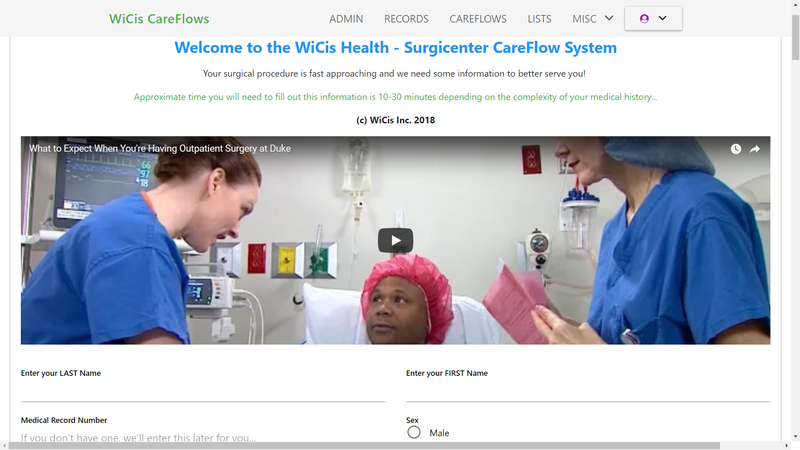 We are reinventing the way that care coordinators engage with patients, before, during and after surgery with WiCis CareFlows. 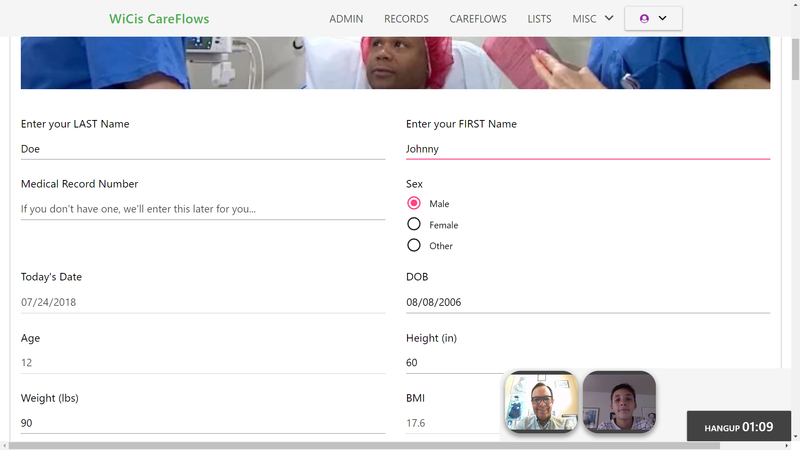 A typical CareFlow has 8-10 CareForms that follow the patient from pre-admission, to inside the facility, and then back to their home. Follow-up care is easy with the latest HD video HIPPA compliant technology to engage with patients, while you view their vital signs live!